Rapper and G.O.O.D. Music president Pusha T announced his support for the passage of California’s Prop 64 on Tuesday. The measure, which Californians will vote on next Tuesday, would legalize marijuana and control, regulate, and tax the use of the substance among adults. 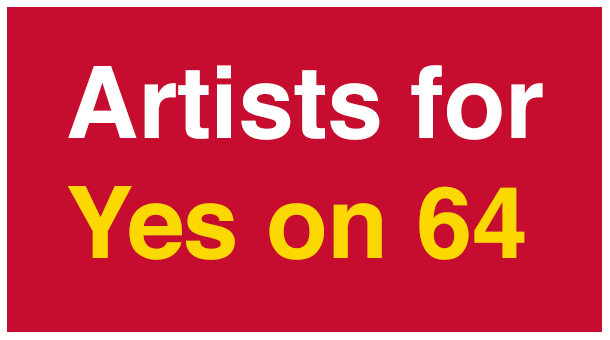 Pusha T joins numerous other artists — Jay Z, Sting, Common, Olivia Wilde, and Sarah Silverman among them — who have come out in favor of Prop 64 as a part of Artists For 64. Officially named the Adult Use of Marijuana Act, the measure follows successful legalization initiatives in Colorado, Oregon, Washington, Alaska, and Washington, D.C. A previous ballot measure proposing marijuana legalization in California failed in 2010. 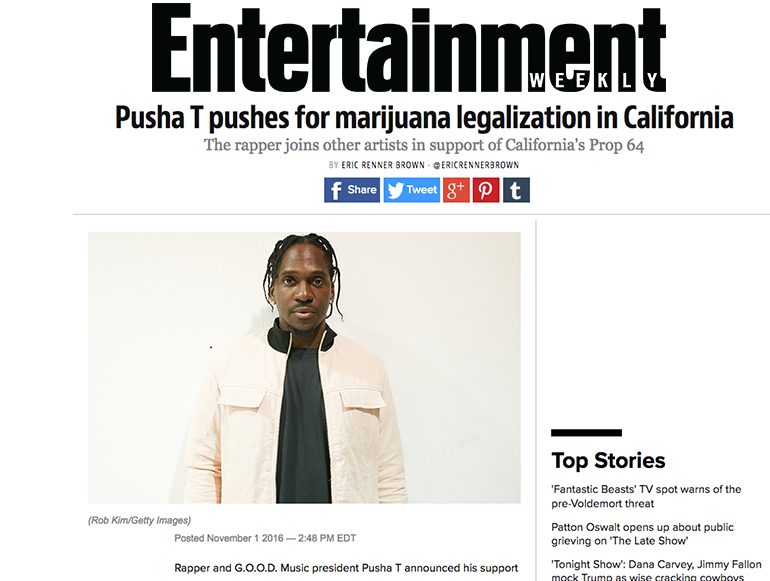 Pusha T’s support for Prop 64 follows his high-profile affiliation with Hillary Clinton’s presidential campaign. The rapper appeared with vice presidential nominee Tim Kaine last month and recently affirmed his enthusiasm for the ticket on The Late Show.